I was surprised to see Ewok Hunt disappear today, but it will be back <ahem> and in greater numbers... When it returns we'll probably have another hunt mode or two to go along with it. But that's okay, I love the mode and can understand the reasoning behind removing it temporarily. 1. Each operation is only available on a map or two. Put them together and you got a rotation that provides gameplay and map/location variety. Makes the modes feel more complete and expansive. 2. Putting Blast, JetPack Cargo, and Extraction all together keeps the playerbase from getting diluted, which is a real consequence of adding multiple different, unconnected modes. This goes for any future modes that get added as well, like say Drop Zone, Cargo, Droid Run, etc. 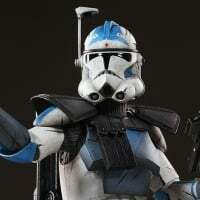 if they aren't ready to add to Ewok Hunt yet, then it should go into the rotation as well. Personally, I'm not a fan of JetPack Cargo. Didn't like it before—although to be fair I haven't tried it yet, today. So I would never jump into a lobby for that mode and 1-2 maps on repeat. HOWEVER, if it were in a mix of modes, I might stick around and play a round or two as it comes up in rotation. Same goes for Blast. When I play Blast it's usually for 1-2 rounds then I'm back to the objective based modes. Put them all together and you've got something for everyone to jump in and get a dose of variety. If they don't add more maps for Extraction, Hunt and JPC then they could put them Iin one rotation. I think most people would probably rather have them separate though - if I want to play Extraction, I want to play Extraction not Blast, Hunt and JPC before I get a match. I see your point, and I tend to agree with you... I'd want to play extraction on more maps instead of playing the other Operations modes. Honestly, I'll probably never play JetPack Cargo unless there's a daily challenge associated, and I hardly ever play Blast. That's why I thought that if they were all thrown together, folks like me might be more apt to play a round or two.